Your Pensacola Chiropractor has provided the option for a digital x-ray to many of our patients since the very first day we opened in 2007! We want all our current and future patients to fully understand why we use a digital x-ray machine. The office has housed their own personal digital machine to allow for quick and easy access to images, which allows a quicker turnaround when deciding an individual treatment plan. The x-ray is not a requirement to seek treatment, but it comes in handy when either the chiropractor or the patient needs to visually observe the spine. Although this practice is becoming more common, not all local chiropractor offices offer a quick imaging process, rather they refer the patients out to an imaging center, which then requires more of the patient’s valuable time. Many patients do not realize how the many benefits of a digital x-ray are preferred over the traditional x-ray machine. Digital x-rays expose patients and staff to less radiation than traditional film x-ray machines. Also, the digital x-ray is environmentally friendly because the images do not require developing; and therefore there is less chemical waste. Since development is not needed, the images are almost immediately available to view/read. In most cases, when a patient presents to our office with pain at the neck or back region after a trauma or injury a digital x-ray will be performed. The x-ray is then evaluated by a radiologist who can help in determining the extent of any injury and also evaluate for the possible existence of other pathologies that are visible on the x-ray. A good example of an injury that would require x-rays would be one caused by being in a car accident. When a patient is in a car accident there can be direct force trauma by hitting the windshield, door or other object in the car that can cause a fracture. Damage to the cervical vertebrae, or the neck bones, can also be caused by the whiplash effect of the head and neck during a collision. This is why it is important to be properly evaluated by a trained healthcare professional after a car accident, even if you did not hit your head or other body part on an object during the collision. A digital x-ray can also be used for spinal and posture assessment. These allow for both the chiropractor and the patient to visualize where chiropractic care may most benefit the individual patient. The process of capturing the digital image is fairly quick and the machine increases accuracy. 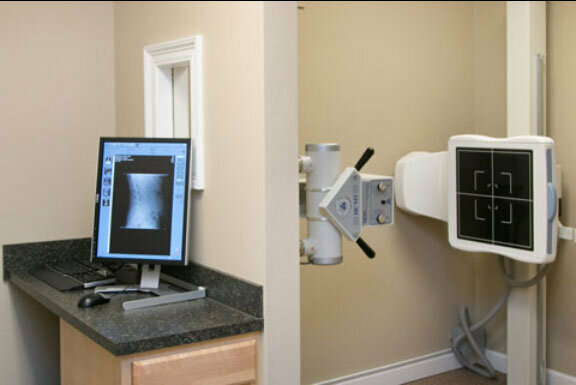 This advanced technology allows the chiropractor to zoom, rotate, and control the image density. The digital image may reveal minor scoliosis or highlight areas of misalignment, which allows the chiropractor to make the best decision in creating an individualized treatment plan for each patient. Patient’s benefit from the use of a digital x-ray machine because they are able to request and keep a copy of the image with the use of DVD or CD’s. The portability of the image has become very important during this modern age. The images are more readily available and can be shared with other healthcare providers, if needed. Your Pensacola Chiropractor believes all the reasons listed above are valuable for keeping and maintaining an in-house digital x-ray machine. We want to provide quality care to all our patients and the digital x-ray machine allows for a fully developed chiropractic treatment plan. 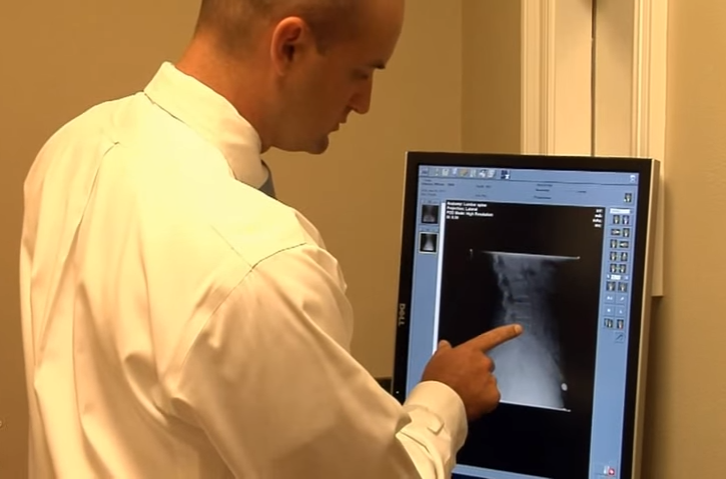 Again, the digital x-ray machine at Gilmore Chiropractic is used on a case-by-case basis and is not always a requirement to seek treatment. Feel free to ask Your Pensacola Chiropractor whether this is a necessary step when you schedule your first initial appointment with us! Call our office to book your appointment today!